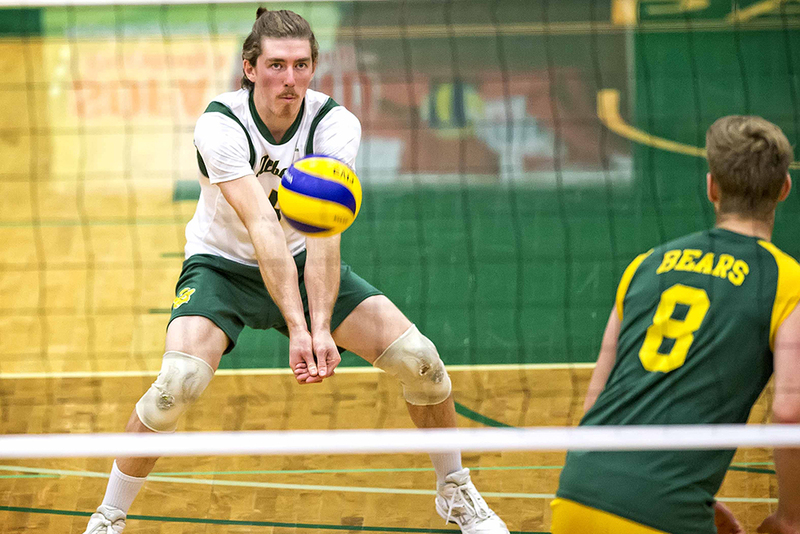 A former University of Alberta standout libero, Reed May is eager to tie up his laces again with Eastern Blocks for the 1st Annual Challenger Invitational this coming weekend at the Markham Pan Am Centre. May comes from a family with a rich volleyball history. 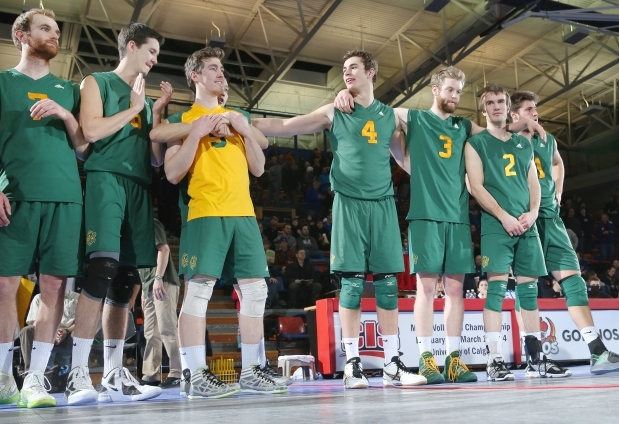 His father, John May, was a former volleyball standout at the University of Toronto and has been involved with beach volleyball at both the FIVB and Olympic Games. 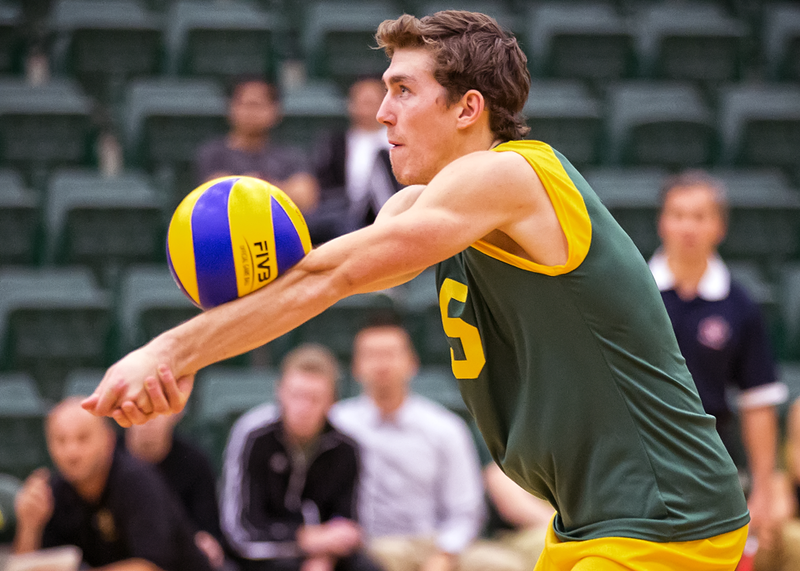 His brother, Garrett May, played for Western University and competes for Canada on the FIVB beach tour. In fact, it's not often that siblings get to face off against each other but Reed and Garrett have, during the 2014 CIS National Championships final, with Reed coming out on top. I think it's safe to say that when May stepped foot on the court for the first time, he was going to become a great player. His father established CRUSH Volleyball Club and May was a dominant player for them from 13U to 18U, winning 7 National Championships. From there, May moved to Edmonton to play for the University of Alberta on one of the best teams in the country. He finished his University career in March 2017 with 4 National Championship medals, including back to back gold medals. It's always tough going from training every day to what can seem like a perpetual silence following your University career. Returning home to Toronto for the summer, May joined forces with his father as one of the owners of a men's team in the Toronto Premier League. "My first reaction when my father told me he was buying a team in the ONE Volleyball Premier league was pure excitement!" May says, "I had heard about the draft through former teammates and noticed one of the teams didn't have an owner yet. I was just about to call my dad and suggest he get involved when he walked into the office and told me he had bought the team!" "When I was presented with the opportunity to get involved at an ownership level I was very excited because I love being around high level volleyball on a regular basis even if I’m not able to get out and play every day," May says. Knowing he has big shoes to fill, he seemed both eager and honoured to start this adventure with his father, "Being in volleyball environments with him, I see how big of an impact he’s had on the community by the sheer number of people he stops and chats with at the events. I can see the respect people have for him in the community and how much value his perspective has. I would consider myself very lucky if I had even a fraction of the impact on the community that he has over his many years in the sport." With a bit of time yet to plan for the upcoming 2018 Toronto Premier League season, May hopes to help his team win their first Challenger Series Title, "I’m always looking for opportunities to get back out on the court and compete. It’s in my DNA."